Mobileshop.ph the leading cryptocurrency prepaid mobile phone top up and dish TV recharge provider is now offering Bulk Recharge service for corporate customers seeking a quick top-up solution for high volumes of mobile phones. Mobileshop.ph has also introduced a new Rapid Top Up service allowing customers to top up without registration and also now accepting Dogecoin. – Mobileshop.ph is the market leader for cryptocurrency Mobile and Dish TV top up. – Mobileshop.ph is fast, secure and easy to use. No registration required. – Mobileshop.ph do not charge service fees and we have competitive rates. – Mobileshop.ph top up is instant – we use the market leader Merchants so, our customers do not have to wait for confirmations. – Mobileshop.ph is accessible from anywhere online, mobile and tablet devices. 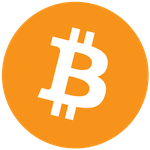 – Mobileshop.ph accepts all cryptocurrencies payment – Bitcoin, Litecoin and Dogecoin. We are the first cryptocurrencies prepaid Digital-To-Home (DTH) dish recharge and mobile airtime remittance service to 100+ countries with 400+ international mobile operators.